By Tracy Burrows, ITWeb contributor. Artificial intelligence will advance one day to a point where computers will be able to identify sarcasm, says Quirk's Justin Spratt. As enterprises place growing value on market perception, a new role is emerging for human analysis of social media, says Justin Spratt, CEO of Quirk. Spratt says understanding big data and the sentiments behind the vast volumes of information generated by social media are becoming big business. "While the tools and algorithms for analysing big data have become a lot more advanced, there are still challenges when it comes to accurately analysing sentiment," he says. For marketers trying to make effective use of massive volumes of social media commentary, this can pose a problem. Currently, says Spratt, automated sentiment analysis can easily misread sarcasm, for example. "Only real people can accurately detect whether a comment is sarcastic at this stage," he says. "Artificial intelligence will undoubtedly advance one day to a point where computers will be able to identify sarcasm and correctly define whether the sentiment is positive or negative. But at the moment, doing so requires people." 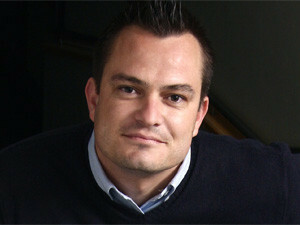 The 8th Annual ITWeb Business Intelligence Summit and Awards takes place on 26 and 27 February 2013, with a workshop on 28 February. Themed "Integrated BI for optimised performance", the 2013 summit empowers BI practitioners to derive the maximum value from their BI implementations. For more information and to reserve your seat, Click here. This, he says, is driving a new move for specialists to use crowdsourcing and for companies to recruit data scientists to help analyse data and more effectively determine the sentiment behind social media posts. Few companies are doing so, but Spratt envisages growth in this area in future. "Quirk is currently training people to play this role. And there are a handful of companies around the world moving in this direction too," he says. Spratt says this also presents potential for connected individuals located anywhere to earn money analysing social media posts, interpreting the data and allocating sentiment to them. It is possible this could generate numerous employment opportunities - even via mobile, he says. Spratt says these moves are in line with a growing need for enterprises to unlock the value of data in an environment where data volumes are growing exponentially. Maximising the value of this data entails more than understanding it, he notes. "BI user experience is critical and you need to be able to derive real-time insights and respond accordingly in real time." While unlocking the value of data may appear to be a major and costly undertaking, Spratt points out that 'quick wins' are possible with low investment. "Enterprises can start by maximising 'small data'," he says. By focusing on certain data sources and maximising the insights gleaned from those sources first, enterprises can significantly improve their BI and CRM. "Social media is a good place to start," he says. "There is a lot of superficial CRM data that could be used more effectively right now - for example, birthday information. Other enterprises - say, banks - are sitting on masses of valuable information that could be used to drive more revenue generation. And many enterprises have unused process data that could be more tightly integrated into the supply chain to improve processes. "What stands in the way of more efficient use of all this data is often the user experience. CRM systems are often too cumbersome for ease-of-use. We need better automation and a better user experience to deliver more effective use of data." Justin Spratt will outline the use of BI in a social context to drive revenue during the upcoming ITWeb BI Summit. For more information about this event, click here.